IJRC | Archive | Vol. 01 No. 01 | Review | LRER | Osel, Joseph, D.
Michelle Alexander's new book The New Jim Crow: Mass Incarceration in the Age of Colorblindness is strange and omnipresent, coming to us under the often co-opted banner of the noble cause. I first stumbled onto Alexander's book by accident, finding a mention of it somewhere and following up to satisfy my own curiosity. After my initial discovery I found the likable, knowledgeable and well-meaning Alexander speaking about her book on various radio and television programs, finding most of her stand-alone statements accurate, important and worthy of discussion. Upon finishing her book I recently attended a rally in Seattle in support of the family of Trayvon Martin where references to "The New Jim Crow" were abundant, the signs and chants of the "No New Jim Crow Coalition" ringing throughout the event -- the strangely backward chant of "no peace, no justice" adopted quickly by the crowd. When visiting the home of a white hippy friend who lives in the city's gentrifying Central District a pristine copy of Alexander's book sat proudly on her living-room bookshelf. During a chance encounter with a local civil rights attorney, upon exposing myself as a sociologist, Alexander's book was recommended right on cue, "The New Jim Crow is our new Bible!" the young lawyer told me. An Analysis for the "Colorblind"
These recommendations aside, The New Jim Crow is "not for everyone," that is, according to Alexander. So who then is The New Jim Crow for? According to the preface, the target audience for the book is well-meaning middle-class+ liberals who, for various reasons of privilege (or "lack of information"), have failed to grasp how and why racialized policies of social control persist in the so-called "age of colorblindness." Of course, the irony here is that the "age of colorblindness" does not exist, save for the theoretical ideals of Alexander's audience (i.e. the non-racist, enlightened, multiculturalist readers). Moving forward in this sense, then, the entire book operates on a falsehood designed to massage the reader's "enlightened" sense of self -- and this is where things begin to go wildly awry. Alexander's preface makes the liberal-humanist, bourgeois framework of her anemic structural analysis clear. In turn, as the astute social philosopher might expect, the most striking feature of The New Jim Crow is not found in its analysis of "mass incarceration in the age of colorblindness" or in its repudiation of the cleverly named "war on drugs," but rather in the stark limitation that Alexander imposes on her critical discourse -- her first ideological gesture to bar the framework of liberal-humanism from her critical-ethical-historical scope. This limitation (imposed for the comfort of her expected audience and perhaps for Alexander herself) is why The New Jim Crow offers no serious or sustained discourse on the harder and larger issues that are, in-fact, central to her subject(s) . Alexander's analysis emphatically and categorically ignores the systemic violence endemic to the socio-economic order, its origins and persistence in contemporary society. She provides this order, this undeniable defining critical context -- which informs and perpetuates the logic of mass incarceration, whose sole function it is to reinforce and protect the interests and sensibilities of the upper-classes -- with anonymity and exclusive critical immunity. 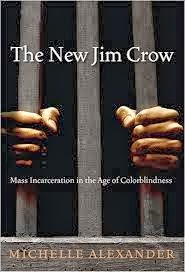 The symptom of this critical immunity and the analytical result of The New Jim Crow is exemplified by the well-known expression “can’t see the forest for the trees.” To illustrate this one need go no further than to point out that while Alexander's book claims to be concerned with exposing and describing the history and mechanisms of mass incarceration or the American "caste system," which affects the poor and people of color systematically and disproportionately, her work systematically, strangely, and emphatically excludes these voices. That said, the content of Alexander's well-researched, tip-toeing book may be enlightening or nauseating depending on the reader's existing understanding of mass incarceration in the United States and their ability to think critically and contextually about complicated social issues. Privileged or sheltered progressive liberals, or for that matter any individual with the garden variety college education, as well as the vast majority of progressive academics, will likely find The New Jim Crow stimulating, maybe cathartic and probably worth recommending. On the other hand, those with any kind of serious background in Black philosophy, history, criticism, or even a passing interest in self-determination should brace themselves for the all too familiar: a breathtaking descent into the nether regions of Eurocentrism, in all its clever disguises. Although Alexander offers some insightful analysis about the American drug war, policy making and various other things, the entire contextual frame of her work can be characterized by two words: bizarre omission. According to Alexander's history, there is no Malcolm X or George Jackson, no Frantz Fanon, no Richard Wright, no Eldridge Cleaver, no Angela Davis, no Huey P. Newton, no Bobby Seale, no Black Panther Party, no Black Power Movement, no self-determination, no prison-struggles, no political prisoners. Suspiciously there is almost no 1960's, no 1970's, no Black History, no Black Criticism, no Black Radicalism, no radicalism, no class struggle. There is no serious or sustained critique of colonialism, imperialism or capitalism. There is no discussion of international law, implicit racism, of privileged ignorance or prosperity, no acknowledgment that the likely champions of the text are the direct and continued benefactors of the "caste system" they so deplore. There is no connection to any of this. None. All of this: the radical voices of America's black and brown inmates, the strong voices of anti-oppression, anti-imperialism, anti-exploitation, the voices of revolt, rebellion, revolution, Black and Brown power, the most salient historical texts, speeches, time-periods, and philosophies -- all these things have been miraculously purged from Alexander's lens in a sort of operational whitewash, a black out, apparently unnoticed. How is this possible given the subject of her book? How is it even passable? Could one write a book about the rain, but never mention the weather? Could one write a book about the weather and never mention the atmosphere, its history or defining patterns? Here we have an instant classic: whitewashed language, whitewashed social relations, whitewashed history, whitewashed brutality, a vast rhetorical and historical facelift where the most relevant and affected voices on the topic at hand are safely expunged from the discussion, from relevance, from history. With all this precluded for the comfort of Alexander's readers (or for some other reason) while the bulk of The New Jim Crow is dedicated to the logical treatment of these very subjects, her thesis, however luxuriously poignant and possibility useful, ultimately fails. 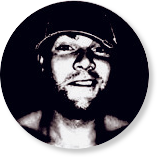 Its logical conclusions simply cannot be drawn without producing internal contradictions that are endless. The function of the rhetorical limitation in The New Jim Crow is to obscure these contradictions and the repercussions of these strange obfuscations, and subsequent maneuvers of concealment produce analytical limitations that render Alexander's overall analysis demonstrably ahistorical, and thus inconsequential in any seriously critical sense. Put simply, The New Jim Crow: Mass Incarceration in Age of Colorblindness sadly is a book that happily implies the annihilation of its own thesis. In this case “subject(s)” refers both to Alexander’s topic as well as those groups and individuals most affected by the issues (situation) under consideration.